For cyclists are looking to expand their cycling horizons. That includes roads that may not be suited for normal road tires. 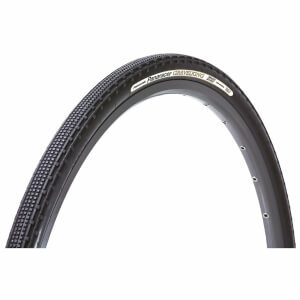 Our GravelKing tyre solves that problem. 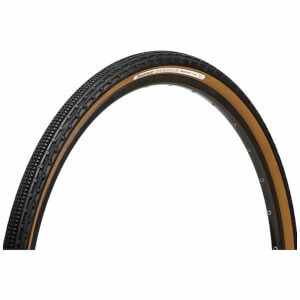 Four widths to suit any rider's tastes. 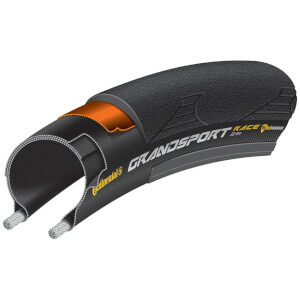 Natural rubber compound, puncture protection breaker and a special low rolling resistance casing make the GravelKing a go-anywhere tyre. I ordered these based on some reviews i read. 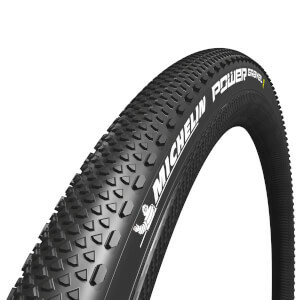 They roll very nice and feel great but there puncture resistance is not so great. I replaced one of my tires with this and left the other as it's not warn out yet and have had 3 flats with just the panaracer in a little over a month. They look great and offer some nice characteristics but think i will stick with what i was running when it comes time to replace. This tyre has great traction on gravel. When climbing, I can get off the seat, and the rear wheel still spins naturally. And once you get back on tarmac, it feels like i'm riding a regular slick tyre. I completely recommend this!